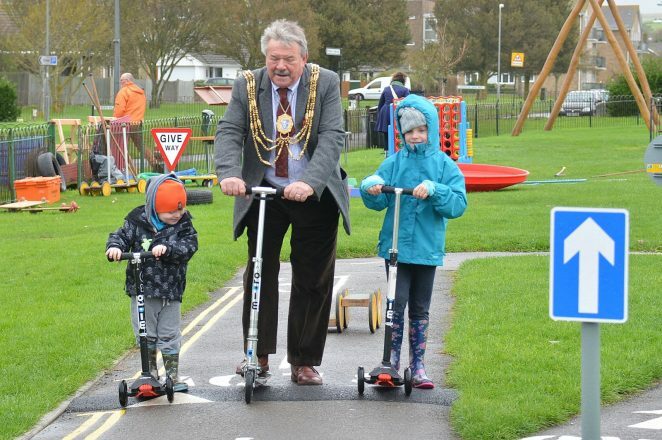 The Mayor of Brighton and Hove, Councillor Bill Randall proved that he was game for a laugh, when he joined children at a Scooter Training event at Saltdean Vale. The event, aimed at 3-7 year olds, was intended to help children the learn safety issues involved in using their scooters. It was one of a number of events being staged by My Play Space for children during the school half-term. If you would like to find out more about children’s activities organised by the council you can visit the My Play Space webpage.